Bull trout (Salvelinus confluentus) are in the family Salmonidae, genus Salvelinus (chars), which also includes introduced brook trout (S. fontinalis ) and lake trout (S. namaycush). Bull trout were first described as a separate species from Dolly Varden (S. malma) by Cavender (1978), who suggested the species originated in the Columbia River basin and dispersed following deglaciation since the Pleistocene. Montana populations are limited to the Columbia and Saskatchewan River basins. Major bull trout drainages are the Kootenai and Clark Fork (including Bitterroot, Flathead/Swan and Blackfoot systems). Metaline Falls (Tom Weaver, MFWP, personal communication) and Bonnington Falls have isolated Clark Fork and Kootenai River populations from downstream Columbia basin populations for approximately 10,000+ years (Montana Bull Trout Restoration Team [MBTRT] 2000). The St. Mary’s River in the Saskatchewan basin, draining north into Canada, contains the only bull trout population east of the continental divide in the United States. [The following account is taken directly from the Restoration Plan for Bull Trout in the Clark Fork River Basin and Kootenai River Basin, Montana (MBTRT 2000). Text that is italicized and bracketed has been added by the author.] Bull trout are native to streams, rivers, and lakes in northwestern Montana. They are long-lived fish that do not reach breeding age until at least five years of age [but rare reports of maturity as young as age two exist, e.g. Shepard and Graham 1983]. Sub-adult and adult bull trout feed primarily on other fish, resulting in their being dubbed the “cannibal of Montana’s streams” (Anonymous 1929). Bull trout spawn in the fall, and their eggs remain up to six inches deep in spawning gravels until spring, when the fry emerge. Young bull trout remain in the stream for one to four years, huddled among bottom rocks and other cover. Bull trout grow up to lengths of 37 inches and weights as heavy as 20+ pounds. Sub-adult and adult fluvial bull trout reside in larger streams and rivers and spawn in smaller tributary streams, whereas adfluvial bull trout reside in lakes and spawn in tributaries. Bull trout may have either a resident or migratory life history. Resident fish usually spend their entire lives in smaller tributaries and headwater streams. Migratory fish spawn and their progeny rear for one to several rears in tributary streams before migrating downstream to larger rivers or lakes where they mature and spend most of their adult life. Adults migrate back to their natal tributaries to spawn, apparently with a high degree of fidelity (Swanberg 1996, Kanda et al. 1997; unpublished data). Bull trout also may migrate during the summer to seek colder water and during the winter to seek relatively ice free habitats (Jakober 1995) [free from anchor and frazil ice, but selecting surface-ice-covered sites, Jakober et al. 1998]. Resident and migratory bull trout can live together and one life history form can probably give rise to the other. This variety of life history strategies is important to the stability and persistence of populations, but also complicates restoration and conservation because a diversity of high quality habitats are needed. When individual habitat components are altered, by human or natural events, bull trout populations may be negatively impacted. The following summary accounts of life history and bull trout habitat requirements were derived from the report The Relationship Between Land Management Activities and Habitat Requirements of Bull Trout prepared by the Montana Bull Trout Scientific Group (MBTSG 1998). More specific details and references are contained in that report. The majority of migratory bull trout spawning in Montana occurs in a small percentage of the total stream habitat available. Spawning takes place between late August and early November, principally in third and fourth order streams. Spawning adults use low gradient areas (less than 2%) with gravel/cobble substrate and water depths between 0.1 and 0.6 meters (4 to 24 inches) and velocities from 0.09 to 0.61 m/sec (0.3 to 2.0 ft./sec). Proximity of cover for adult fish before and during spawning is an important habitat component. Spawning tends to be concentrated in reaches influenced by groundwater, where temperature and flow conditions may be more stable. The relationship between groundwater exchange and migratory bull trout spawning, and the spawning habitat requirements of resident bull trout, require further investigation. Existing studies suggest that successful incubation of bull trout embryos requires cold water temperatures below 8°C (46°F), gravel/cobble substrate with high permeability to allow water to flow over incubating eggs, and low levels of fine sediment (particles smaller than 6.35 mm (0.25 inches) in diameter) that smother eggs and fry. Eggs are deposited as deep as 25 cm (10 inches) below the streambed surface, and fry do not emerge until 7 to 8 months later, depending on water temperature. Spawning adults alter streambed characteristics during redd construction to improve survival of embryos, but conditions in redds often degrade during the incubation period. Mortality of eggs or fry can be caused by scouring during high flows, freezing during low flows, superimposition of redds, or deposition of fine sediments or organic materials that smother the eggs or fry. A significant inverse relationship exists between the percentage of fine sediment in the incubation environment and bull trout survival to emergence. Entombment appeared to the largest mortality factor in incubation studies in the Flathead drainage. Groundwater influence plays a large role in embryo development and survival by mitigating mortality factors. Basic rearing habitat requirements for juvenile bull trout include cold summer water temperatures (<15°C (59°F)) with sufficient surface and groundwater flows. Warmer temperatures are associated with lower bull trout densities, and can increase the risk of invasion by other species that could displace, compete with, or prey on juvenile bull trout. Juvenile bull trout are generally bottom foragers and rarely stray from cover. They prefer complex forms of cover that include deep pools, large woody debris, rocky stream beds, and undercut banks. High sediment levels and embeddedness can result in decreased rearing densities. Unembedded cobble/rubble substrate is preferred for cover and feeding, and also provides invertebrate production. Highly variable streamflow, reduction in large woody debris, bedload movement, and other forms of channel instability can limit the distribution and abundance of juvenile bull trout. Habitat characteristics that are important for juvenile bull trout of migratory populations (low water temperatures, clean cobble-boulder substrates, and abundant cover) are also important for stream-resident subadults and adults. However, stream resident adults are more strongly associated with deep pool habitats than are migratory juveniles. Both migratory and stream-resident bull trout move in response to developmental and seasonal habitat requirements. Migratory individuals can move great distances (up to 156 miles [250 km]) among lakes, rivers, and tributary streams in response to spawning, rearing, and adult habitat needs (Swanberg 1996). Stream-resident bull trout migrate within tributary stream networks for spawning purposes, as well as in response to changes in seasonal habitat requirements and conditions. Open migratory corridors, both within and among tributary streams, larger rivers and lake systems are critical for maintaining bull trout populations. Most migratory bull trout remain in tributaries for one year or more before moving into large rivers downstream. After they reach large river habitats, bull trout can remain there for brief periods, or for as long as several years, before either moving into lakes or returning to tributary streams to spawn. During their river residency, bull trout commonly make long-distance annual or seasonal movements among various riverine habitats, apparently in search of foraging opportunities and refuge from warm, low-water conditions in mid-summer and [frazil/anchor] ice in winter. [Muhlfeld et al. (2003) found that sub-adult bull trout made diel shifts in winter habitat use in a partially regulated section of the Flathead River in northwestern Montana; sub-adult bull trout moved from deep, mid-channel areas during the day, to shallow low-velocity areas along the channel margins without overhead cover at night.] Little is known about these movement patterns among basins, but it is likely that river residency and migratory behavior in each bull trout stock largely reflects local adaptation to the specific array of suitable habitats historically available in the basin. The degree of genetic control of migratory behavior in bull trout is unknown. Factors contributing to declines of bull trout populations include habitat degradation and loss due to land and water management practices; isolation and fragmentation of populations by both structural (e.g. dams) and environmental (e.g. thermal or pollution) barriers; introduction of non-native fishes resulting in competition, predation and hybridization threats; historical eradication efforts; poisoning to remove non-game species; historical overharvest; and ongoing poaching and accidental harvest due to misidentification (Fraley and Shepard 1989; Meehan and Bjornn 1991; Bond 1992; Ratliff 1992; Leary et al. 1993; MBTSG 1995; Long 1997; Riehle et al. 1997; Donald and Stelfox 1997; Schmetterling and Long 1999). Historically, bull trout were often viewed as a nuisance species due to their predaceous habits, including being targeted for eradication with bounties, and were fished commercially with nets on Flathead Lake in the early 1900’s (Brown 1971; Leary et al. 1993). Concerns over their decline, along with accompanying efforts at protection, began to be raised in the 1950’s (Brown 1971; Fraley 1994). Bull trout are now viewed as an important indicator species for environmental disturbance, due to their specific requirements for spawning and rearing habitat and general sensitivity of each life history stage (Fraley and Shepard 1989). Loss of the migratory component of bull trout life history diversity, where populations have become isolated in headwater lakes (Wade Fredenberg, USFWS, personal communication) or stream reaches further threatens the species’ recovery. Small, isolated populations face increased extirpation risks as a result of direct impacts of habitat change, random demographic and environmental variation, and genetic processes (Goetz 1989; Rieman and McIntyre 1993). Migratory fish are typically much larger than resident individuals, with greater fecundity and reproductive potential as a result (Marnell 1985, Goetz 1989). Ratliff and Howell (1992) speculated that large migratory bull trout may be less likely to hybridize with smaller brook trout (but see Kitano et al. 1994 for contrary evidence). Several studies report bull trout local population genetic divergence down to the geographic scale of adjacent tributaries (Leary et al. 1993; Kanda et al. 1997; Spruell et al. 1999; Taylor et al. 1999). Based on similar patterns of population genetic structure in steelhead, Parkinson (1984) suggested that populations in geographically adjacent streams be managed as separate stocks. Because of their opportunistic feeding habits and late maturity, bull trout are vulnerable to overharvest and poaching/accidental harvest, especially during migrations in tributaries (Leathe and Enk 1985, Long 1997, Schmetterling and Long 1999, Carnefix 2002). Some Montana bull trout populations (e.g. Swan, South Fork Flathead, Kootenai, Flathead and Blackfoot) have responded well to more restrictive angling regulations or closures (Tom Weaver, MFWP, personal communication), and initial conservation efforts in Montana focused on such measures. The first minimum length limit was imposed in 1951 (Long 1997). By 1981, eight of 33 major North and Middle Fork Flathead River spawning tributaries were closed to fishing and an 18-inch minimum size limit to protect pre-spawners in the rivers and Flathead Lake was in effect (Fraley et al. 1981; Tom Weaver, MFWP, personal communication). Regulations closing all state waters except Swan Lake and Hungry Horse Reservoir to intentionally fishing for and/or harvesting bull trout became effective in 1993 (Tom Weaver, MFWP, personal communication). Harvest is currently permitted only in Swan Lake. Some level of poaching (Swanberg 1996; Long 1997) and accidental harvest due to misidentification (Schmetterling and Long 1999) probably continues to impact bull trout populations, but is difficult to detect, quantify, prosecute or prevent. Recent efforts to reduce misidentification include a Bull Trout Identification and Education webpage at the MFWP website (http://fwp.mt.gov/bulltroutid/default.htm). The state of Montana began development of a bull trout restoration plan in 1993. The final plan, published in June 2000, identifies 115 bull trout core areas and connecting “nodal habitat” within twelve Restoration/Conservation Areas (RCAs); sets goals, objectives and criteria for restoration; outlines actions to meet those criteria; and establishes a structure to monitor implementation and evaluate effectiveness of the plan. The stated goal of the plan is “to ensure the long-term persistence of complex (all life histories represented), interacting groups of bull trout distributed across the species’ range and manage for sufficient abundance within restored RCAs to allow for recreational utilization” (MBTRT 2000). Bull trout conservation is also a stated goal of the Plum Creek Timber Company’s Native Fish Habitat Conservation Plan (HCP) (http://www.plumcreek.com/environment/HCP-fish.cfm), for which agreement was reached with the USFWS in October 2000. Though approved, this HCP/take permit is currently in litigation. With “threatened” listing (USFWS 1998), USFWS has separate responsibility under the Endangered Species Act for development of a federal recovery plan and designation of critical habitat. A draft Recovery Plan built on the foundation of state restoration plans (USFWS 2002a, Internet-accessible at http://pacific.fws.gov/bulltrout/recovery/Default.htm) and proposed critical habitat (USFWS 2002b, http://pacific.fws.gov/bulltrout/criticalhab.htm), were released in November. Initial public comment periods for both documents have been extended, to March 29, 2003 (Recovery Plan) and May 12, 2003 (proposed critical habitat). Although all bull trout within the U.S. are now listed as threatened, this draft Recovery Plan and proposed critical habitat are organized hierarchically by “local populations” within “core areas” within “recovery subunits” within 24 “recovery units” within three (of five) designated “distinct population segments” (DPSs). The draft Recovery Plan covers the Klamath basin, Columbia River and St. Mary-Belly River DPSs. Critical habitat designation is currently proposed only for the Klamath and Columbia River DPSs. Proposed critical habitat is limited to bankfull stream channel width within designated stream segments and excludes habitat within existing approved HCPs with bull trout “incidental take” permits. In Montana, 5,341 stream km (3,319 mi) and 88,051 lake/reservoir ha (217,577 ac) are proposed as critical habitat, of which 60% is in federal ownership, 1% tribal, 5% state/local and 34% private. Ten local populations within four core areas have been identified within the Kootenai River Recovery Unit in Montana. About 119 local populations distributed among 36 core areas within three Recovery Subunits (Flathead, Upper and Lower Clark Fork) are identified within Montana in the Clark Fork Recovery Unit. Nine local populations within six core areas are identified within Montana in the St. Mary-Belly River Recovery Unit. Anonymous. 1929. The cannibal of Montana’s streams. Montana Wildlife. Montana State Fish and Game Commission 2:7. Bond, C. E. 1992. Notes on the nomenclature and distribution of the bull trout and the effects of human activity on the species. Pages 1-4 in P. J. Howell and D. V. Buchanan, editors. Proceedings of the Gearhart Mountain bull trout workshop. Oregon Chapter of the American Fisheries Society, Corvallis. Brown, C. J. D. 1971. 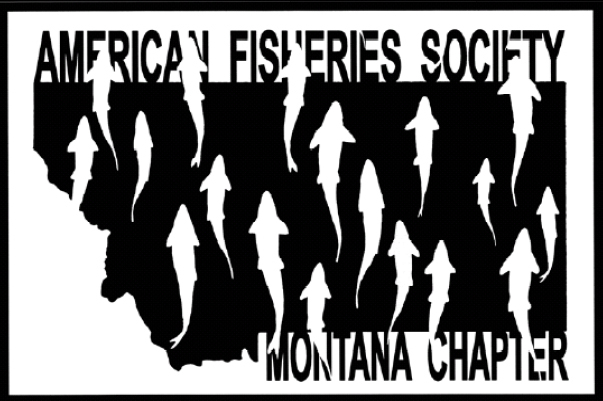 Fishes of Montana. Big Sky Books, Montana State University, Bozeman, MT. 207 pages. Carnefix, G. 2002. Movement patterns of fluvial bull trout in relation to habitat parameters in the Rock Creek drainage, Missoula and Granite Counties, Montana. M.Sc. Thesis, University of Montana, Missoula. 185 pp. Cavender, T. M. 1978. Taxonomy and distribution of the bull trout, Salvelinus confluentus (Suckley), from the American northwest. California Fish and Game 64:139-174. Donald, D. B. and J. D. Stelfox. 1997. Effects of fisheries enhancement and access on adfluvial bull trout populations in mountain lakes of southern Alberta. Pages 227-234 in Mackay, W. C., M. K. Brewin and M. Monita, editors. Friends of the bull trout conference proceedings. Bull Trout Task Force (Alberta), c/o Trout Unlimited Canada, Calgary. Dunham, J., B. Rieman and K. Davis. 2001. Sources and magnitude of sampling error in redd counts for bull trout. North American Journal of Fisheries Management 21:343-352. Fraley, J. J. 1994. Bull trout: further adventures of a travelin’ fish. Montana Outdoors Magazine May/June 1994 (Montana Fish, Wildlife and Parks reprint, 8 pp.). Fraley, J. J. and B. B. Shepard. 1989. Life history, ecology, and population status of migratory bull trout (Salvelinus confluentus) in the Flathead Lake and River System, Montana. Northwest Science 63:133-143. Fraley, J., D. Read and P. Graham. 1981. Flathead River fisheries study. Montana Department of Fish, Wildlife and Parks. Goetz, F. 1989. Biology of the bull trout Salvelinus confluentus: a literature review. Willamette National Forest. Eugene, Oregon. 53 pages. Kanda, N., R. F. Leary and F. W. Allendorf. 1997. Population genetic structure of bull trout in the upper Flathead River drainage. Pages 299-308 in Mackay, W. C., M. K. Brewin and M. Monita, editors. Friends of the bull trout conference proceedings. Bull Trout Task Force (Alberta), c/o Trout Unlimited Canada, Calgary. Jakober, M. J. 1995. Autumn and winter movement and habitat use of resident bull trout and westslope cutthroat in Montana. M. S. Thesis, Montana State University, Bozeman. Jakober, M. J., T. E. McMahon, R. F. Thurow and C. G. Clancy. 1998. Role of stream ice on fall and winter movements and habitat use by bull trout and cutthroat trout in Montana headwater streams. Transactions of the American fisheries Society 127:223-235. Kitano, S., K. Maekawa, S. Nakano and K. D. Fausch. 1994. Spawning behavior of bull trout in the upper Flathead drainage, Montana, with special reference to hybridization with brook trout. Transactions of the American Fisheries Society 123:988-992. Leary, R. F., F. W. Allendorf, S. H. Forbes. 1993. Conservation genetics of bull trout in the Columbia and Klamath River Drainages. Conservation Biology 7:856-865. Leathe, S. A. and M. D. Enk. 1985. Cumulative effects of micro-hydro development on the fisheries of the Swan River drainage, Montana. Report prepared for Bonneville Power Administration, Division of Fish and Wildlife. 114 pages, appendices. Lee, D. C., J. Sedell, B. E. Rieman, R. F. Thurow, J. E. Williams, and others. 1997. Broadscale assessment of aquatic species and habitats. In: Quigly, T. M., and S. J. Arbelbide, eds. An assessment of ecosystem components in the interior Columbia River Basin and portions of the Klamath and Great Basins. Gen. Technical Report PNW-GTR-405. USDA Forest Service, Pacific Northwest Research Station, Portland, Oregon. Long, M. H. 1997. Sociological implications of bull trout management in Northwest Montana: illegal harvest and game warden efforts to deter poaching. Pages 71-73 in Mackay, W. C., M. K. Brewin and M. Monita, editors. Friends of the bull trout conference proceedings. Bull Trout Task Force (Alberta), c/o Trout Unlimited Canada, Calgary. Marnell, L. F. 1985. Bull trout investigations in Glacier National Park, Montana. Pages 33-35 in D. D. MacDonald, editor, Proceedings of the Flathead River Basin bull trout biology and population dynamics modeling information exchange. Fisheries Branch, British Columbia Ministry of Environment, Cranbrook, British Columbia. Maxell, B. A. 1999. A power analysis on the monitoring of bull trout stocks using redd counts. North American Journal of Fisheries Management 19:860-866. MBTRT (Montana Bull Trout Restoration Team). 2000. Restoration plan for bull trout in the Clark Fork River basin and Kootenai River basin, Montana. Montana Department of Fish, Wildlife and Parks, Helena. 116 pages. MBTSG (Montana Bull Trout Scientific Group). 1995a. Bitterroot River drainage bull trout status report. Report prepared for the Montana Bull Trout Restoration Team. Montana Department of Fish, Wildlife and Parks, Helena. 31 pp. MBTSG (Montana Bull Trout Scientific Group). 1995b. Blackfoot River drainage bull trout status report. Report prepared for the Montana Bull Trout Restoration Team. Montana Department of Fish, Wildlife and Parks, Helena. 38 pp. MBTSG (Montana Bull Trout Scientific Group). 1995c. Flathead River drainage bull trout status report (including Flathead Lake, the North and Middle Forks of the Flathead river, and the Stillwater and Whitefish Rivers). Report prepared for the Montana Bull Trout Restoration Team. Montana Department of Fish, Wildlife and Parks, Helena. 46 pp. MBTSG (Montana Bull Trout Scientific Group). 1995d. South Fork Flathead River drainage bull trout status report (upstream of Hungry Horse Dam). Report prepared for the Montana Bull Trout Restoration Team. Montana Department of Fish, Wildlife and Parks, Helena. 33 pp. MBTSG (Montana Bull Trout Scientific Group). 1995e. Upper Clark Fork River drainage bull trout status report (including Rock Creek). Report prepared for the Montana Bull Trout Restoration Team. Montana Department of Fish, Wildlife and Parks, Helena. 40 pp. MBTSG (Montana Bull Trout Scientific Group). 1996a. Lower Clark fork River drainage bull trout status report (Cabinet Gorge Dam to Thompson falls). Report prepared for the Montana Bull Trout Restoration Team. Montana Department of Fish, Wildlife and Parks, Helena. 34 pp. MBTSG (Montana Bull Trout Scientific Group). 1996b. Middle Clark Fork River drainage bull trout status report (from Thompson Falls to Milltown, including the Lower Flathead River to Kerr Dam). Report prepared for the Montana Bull Trout Restoration Team. Montana Department of Fish, Wildlife and Parks, Helena. 37 pp. MBTSG (Montana Bull Trout Scientific Group). 1996c. Lower Kootenai River drainage bull trout status report (below Kootenai Falls). Report prepared for the Montana Bull Trout Restoration Team. Montana Department of Fish, Wildlife and Parks, Helena. 32 pp. MBTSG (Montana Bull Trout Scientific Group). 1996d. Middle Kootenai River drainage bull trout status report (between Kootenai Falls and Libby Dam). Report prepared for the Montana Bull Trout Restoration Team. Montana Department of Fish, Wildlife and Parks, Helena. 36 pp. MBTSG (Montana Bull Trout Scientific Group). 1996e. Upper Kootenai River drainage bull trout status report (including Lake Koocanusa, upstream of Libby Dam). Report prepared for the Montana Bull Trout Restoration Team. Montana Department of Fish, Wildlife and Parks, Helena. 30 pp. MBTSG (Montana Bull Trout Scientific Group). 1996f. Swan River drainage bull trout status report (including Swan Lake). Report prepared for the Montana Bull Trout Restoration Team. Montana Department of Fish, Wildlife and Parks, Helena. 42 pp. MBTSG (Montana Bull Trout Scientific Group). 1998. The relationship between land management activities and habitat requirements of bull trout. Report prepared for the Montana Bull Trout Restoration Team. Montana Fish, Wildlife and Parks, Helena. 78 pages. Meehan, W. R. and T. C. Bjornn. 1991. Salmonid distributions and life histories. Pages 76-78 in Influences of Forest and Rangeland Management on Salmonid Fishes and Their Habitats, W. R. Meehan, Ed. American Fisheries Society Special Publication 19, Bethesda, MD. Muhlfeld, C.C., S. Glutting, R. Hunt, D. Daniels, and B. Marotz. 2003. Winter diel habitat use and movement by sub-adult bull trout in the Flathead River, Montana. North American Journal of Fisheries Management 23:163-171. Parkinson, E. A. 1984. Genetic variation in populations of steelhead trout (Salmo gairdneri) in British Columbia. Can. J. Fish. Aquat. Sci. 41:1412-1420. Peters, D. J. 1990. Inventory of fisheries resources in the Blackfoot River and major tributaries. Unpublished report, Montana Department of Fish, Wildlife and Parks, Missoula, Montana. Ratliff, D. E. 1992. Bull trout investigations in the Metolius River-Lake Billy Chinook system. Pages 37-44 in P. J. Howell and D. V. Buchanan, editors. Proceedings of the Gearhart Mountain bull trout workshop. Oregon Chapter of the American Fisheries Society, Corvallis. Ratliff, D. E. and P. J. Howell. 1992. The status of bull trout populations in Oregon. Pages 10-17 in P. J. Howell and D. V. Buchanan, editors. Proceedings of the Gearhart Mountain bull trout workshop. Oregon Chapter of the American Fisheries Society, Corvallis. Riehle, M., W. Weber, A. M. Stuart, S. L. Thiesfeld and D. E. Ratliff. 1997. Progress report of the multi-agency study of bull trout in the Metolius River system, Oregon. Pages 137-144 in Mackay, W. C., M. K. Brewin and M. Monita, editors. Friends of the bull trout conference proceedings. Bull Trout Task Force (Alberta), c/o Trout Unlimited Canada, Calgary. Rieman, B. E. and J. D. McIntyre. 1993. Demographic and habitat requirements for conservation of bull trout. USDA Forest Service, General Technical Report INT-302. 40 pages. Rieman, B. E. and J. D. McIntyre. 1996. Spatial and temporal variability in bull trout redd counts. North American Journal of Fisheries Management 16:132-141. Rieman, B. E. and D. L. Myers. 1997. Use of redd counts to detect trends in bull trout (Salvelinus confluentus) populations. Conservation Biology 11:1015-1018. Rieman, B. E., D. C. Lee and R. F. Thurow. 1997. Distribution, status and likely future trends of bull trout within the Columbia River and Klamath River basins. North American Journal of Fisheries Management 17:1111-1125. Schmetterling, D. A. and M. H. Long. 1999. Montana anglers’ inability to identify bull trout and other salmonids. Fisheries 24:24-27. Shepard, B. B. and P. Graham. 1983. Flathead River Fisheries Study. Steering Committee for the Flathead River Basin Environmental Impact Study. Spalding, S. 1997. Montana bull trout redd survey manual. Unpublished document prepared for Montana Fish, Wildlife and Parks. 9 pp. Spruell, P., B. E. Rieman, K. L. Knudsen, F. M. Utter and F. W. Allendorf. 1999. Genetic population structure within streams: microsatellite analysis of bull trout populations. Ecol. Freshwater Fish. 8:114-121. Swanberg, T. R. 1996. The movement and habitat use of fluvial bull trout in the upper Clark Fork River drainage. Master�s Thesis, University of Montana, 61 pages. Taylor, E. B., S. Pollard, and D. Louie. 1999. Mitochondrial DNA variation in bull trout (Salvelinus confluentus) from northwestern North America: implications for zoogeography and conservation. Mol. Ecol. 8:1155-1170. Thomas, G. 1992. Status report: bull trout in Montana. Report prepared for Montana Department of Fish, Wildlife and Parks, Helena, Montana. USFWS (United States Fish and Wildlife Service). 1998. Endangered and threatened wildlife and plants; determination of threatened status for the Klamath River and Columbia River distinct population segments of bull trout. Federal Register 63:31647-31674. USFWS (United States Fish and Wildlife Service). 2002a. Endangered and Threatened Wildlife and Plants; Bull Trout (Salvelinus confluentus) Draft Recovery Plan. Available: http://pacific.fws.gov/bulltrout/recovery/Default.htm. (February 2003). USFWS (United States Fish and Wildlife Service) 2002b. Endangered and Threatened Wildlife and Plants; Proposed Designation of Critical Habitat for the Klamath River and Columbia River Distinct Population Segments of Bull Trout. Federal Register 67: 71235-71284. Available: http://pacific.fws.gov/bulltrout/criticalhab.htm. (February 2003). Weaver, T. M. 1997. Fisheries monitoring on Swan River and Stillwater State Forests. Unpublished report prepared for Montana Department of Natural Resources and Conservation by Montana Department of Fish, Wildlife and Parks, Kalispell. 10 pp.